Home News Letter to Editor Letter to the Editor: Parish Government or Police Jury? 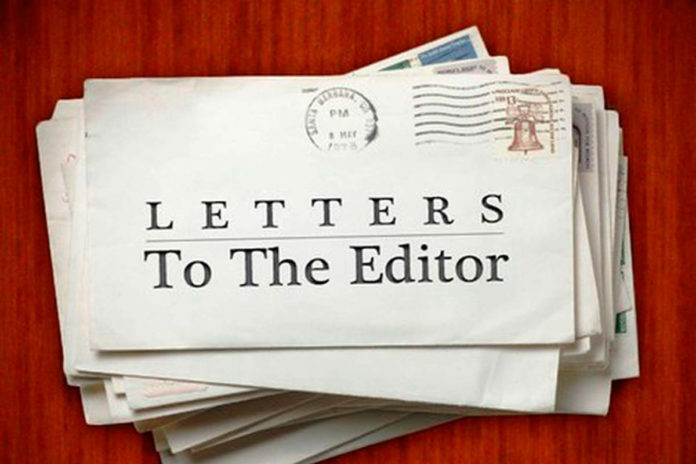 Letter to the Editor: Parish Government or Police Jury? Members of the general public as encouraged to attend the Monday, March 19, meeting of the Natchitoches Parish Council and express their opinions on having a referendum on returning to the Police Jury form of government. The meeting will be held at 5:30 p.m. in the Natchitoches Parish Courthouse. Many persons from the parish have expressed dissatisfied with the Parish Commission which was formed about seven years ago. Several persons attended the February Council meeting to express their dissatisfaction with the Home Rule Charter. Chris Paige who represents District 1 suggested that the Council hold an open session at its March 19 meeting about having a vote on whether to return to the Police Jury system. Paige is a former Police Juror and has always opposed the Parish Commission form of government. Paige said everyone will be allowed to speak and they should introduce themselves and tell what district they are from. J. W. Scarborough of Natchitoches, a former Police Juror who has been active in parish affairs for many years, suggested that the meeting be held in the Courtroom for the comfort of those attending. Lewis said he voted to convert to the Council-President Home Rule Charter because he was somewhat dissatisfied with the previous Police Jury’s performance. He continued, “However, that previous Police Jury did get things done. We were told if the Home Rule Charter did not work, we could return to the Police Jury. This current system is not working and it is indeed time to repeal it and return to the Police Jury with 11 districts. Lewis said he is grateful to the Parish Council for providing the opportunity March 19 for folks to express their opinions on the matter. He concluded, “I am very grateful and appreciative for the opportunity to discuss this matter and I encourage everyone to attend and take part. This is the democratic process in action as envisioned by our founding fathers—-a government of the people, by the people and for the people. Please, people make your voices and positions heard.” Lewis is an educator, retiring in 2011 after 34 years in the field. He taught high school mathematics and worked in three different school systems. His last years were as a high school administrator, with his final year as principal at Simpson High School. He was graduated from Northwestern with a BS in mathematics education and physical education and a MS in math. His wife is a native of Kisatchie.